Chiropractic is a drug-free, hands-on assessment, diagnosis and correction of conditions largely pertaining to the spine and extremity joints. Chiropractic care can be used by itself, or along with physical therapy, massage therapy, or strength training programs. 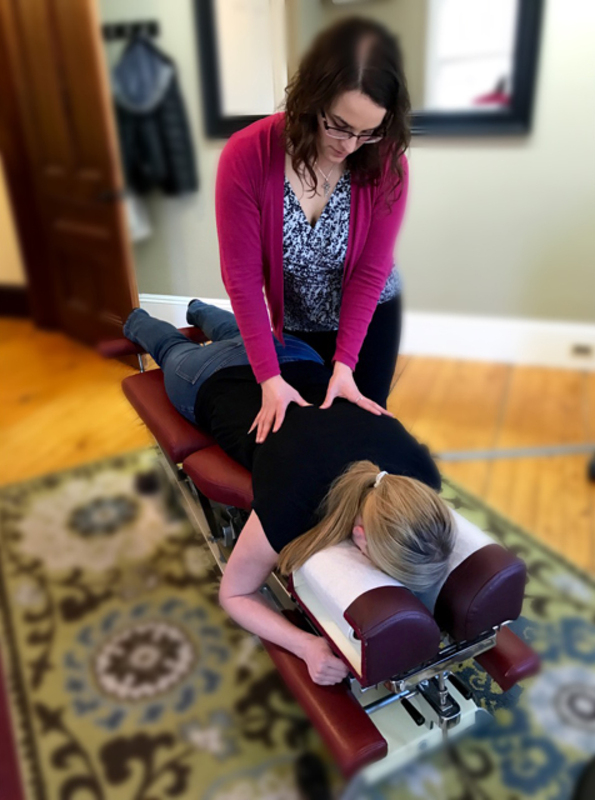 The focus of a chiropractic adjustment are areas within the spine where the vertebral joints have lost mobility – previously referred to as “subluxations”. But WHY is chiropractic so different at Denver Pain and Performance Solutions? Dr. Welch has been practicing for years to assess when the spine has too much, or too little, mobility as well as when the muscles connecting to the spine may need attention. She uses Diversified adjustments (the “cracking” sound kind) to create the best spinal motion attainable when it is necessary. This adjustment is for a “hardware” problem; for a spine that just won’t move. What if the spine won’t move because it is protecting you from something that hurts? That’s where Proprioceptive Deep Tendon Reflex ® (P-DTR) comes in. P-DTR is used to assess the “software”- the signals our brain is getting from the nerves in our body. If those signals are wrong our brain changes movement patterns and even flexibility to protect us. Addressing software problems with P-DTR can allow adjustments to be more comfortable, longer lasting, or not even needed at all. 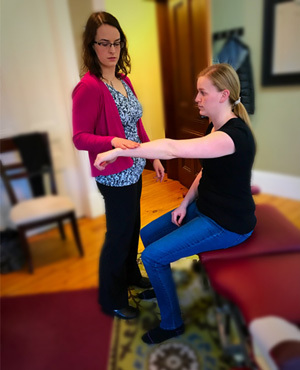 Adjustments are always gentle and specific to each patient’s needs. When you come in for your appointment, Dr. Welch will explain the techniques to be used and frequency of care after a thorough examination. If you’re still wondering if chiropractic is right for you please feel free to email with any chiropractic questions you may have. We look forward to helping you achieve better health at Denver Pain & Performance Solutions!